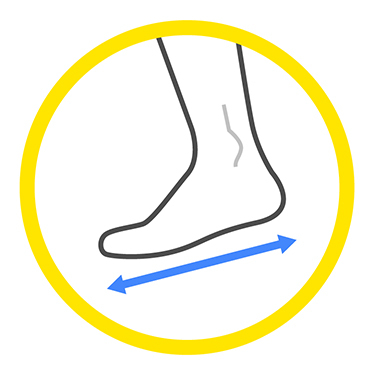 The tight-fitting leg and the anti-twist elastic band on the foot prevent the sock from moving when worn. The cushioning buffer beneath the plant and the mesh instep provide comfort, ventilation and breathability to the foot. No shocking area - foot cushions. Anti twist band on foot. Antibacterial mesh - maximum breathability.